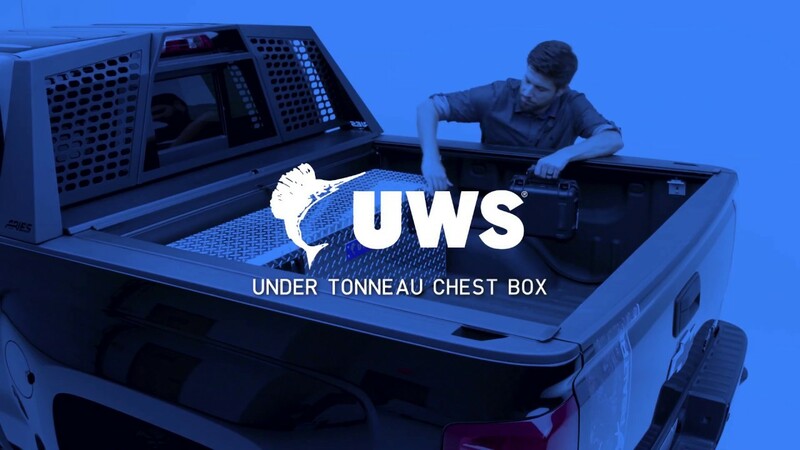 The UWS under tonneau chest box offers integrated truck bed storage. It is compatible with most tonneau covers and features Secure Lock handles and our patented RigidCore™ lid. 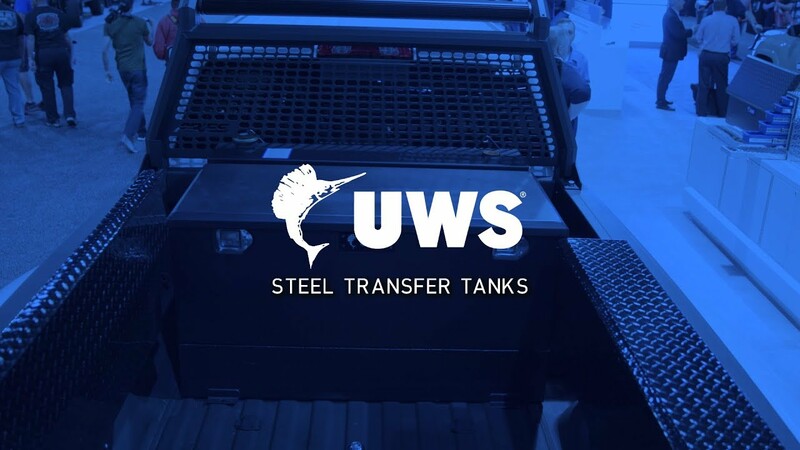 Our new steel combo transfer tanks are an industry-first, featuring a steel tank with a lightweight aluminum toolbox. They feature a smooth, mill finish in black or white. Steel L-shape and rectangle tanks also available. A transfer tank from UWS is the ideal solution for transporting diesel and other non-flammable liquids to the jobsite. We offer several different sizes and styles, including a combo transfer tank with a unique, integrated aluminum tool box for less weight on the truck. All UWS transfer tanks are made right here in the USA. Travis from CURT Group talks about the new under tonneau chest box from UWS, shown at the 2018 SEMA Show in Las Vegas, NV. These new utility chest tool boxes are compatible with most tonneau covers and feature our patented RigidCore™ lid and extra-thick aluminum construction for maximum strength and security. At UWS, we are proud to manufacture our truck tool boxes and other storage solutions right here in the USA. Our goal is to provide you with a dependable product that fits your truck and lifestyle. When buying products online, there is always a risk of damage during delivery. That is why at UWS, we take extra steps to ensure our tool boxes are well-protected for the journey. When your order is placed, we encase the tool box in heavy-duty foam packaging, protective foam caps for the corners and an extra cardboard box, making sure that you receive your order in the same condition as when it left our facility. 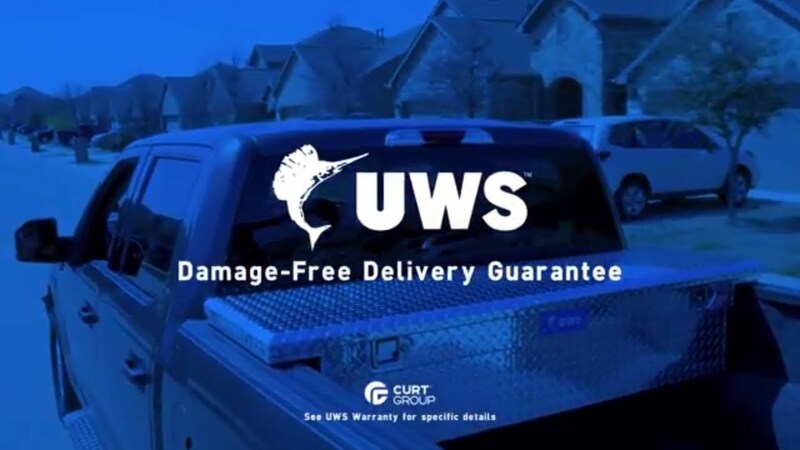 We guarantee you will receive your tool box damage-free. 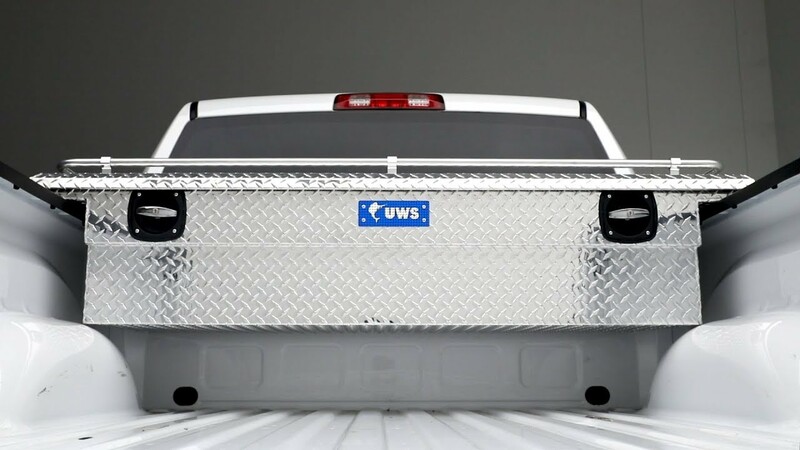 UWS Secure Lock crossover truck tool boxes provide the ultimate in security and convenience, offering you a truck bed tool box unlike any other. It operates with two lockable twist handles that can each be locked on either or both sides. Secure Lock tool boxes also come with a removable BedRug™ liner for easy cleaning, and our RigidCore™ lid for enhanced strength. UWS manufactures over 400 different tool boxes with a variety of styles, features and finishes. 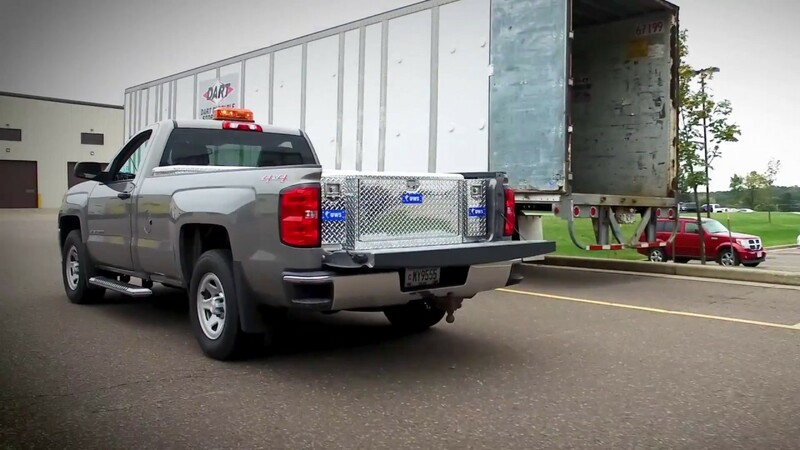 This allows us to offer you a more custom fit for your truck. 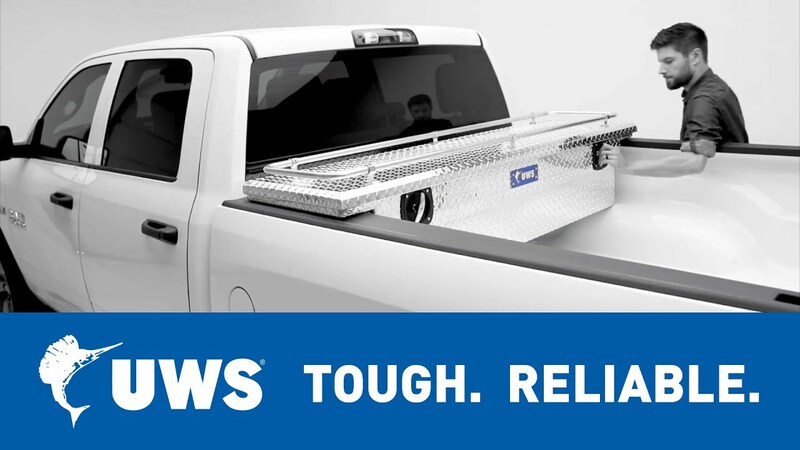 Rather than one-size-fits-all, UWS truck tool boxes are tailored to the layout of your unique truck, optimizing fitment, accessibility and installation. What makes the ultimate outdoor adventure? Family? Friends? Good food? The perfect scenic outlook? When does a weekend camping trip become a memory that will last a lifetime? Pack up the truck and find out. What can two calloused hands and an iron will accomplish? What does it mean to pass on a way of life to the next generation? What does it take to build a legacy? Take hold of the reins and find out. What does it take to set your crew apart? When does a business become an enterprise, become an empire? What will you do to make your brand a respected name in the industry? Gather the fleet and find out. Where will you kick up that next trophy buck or bird? When will the river monster emerge from his hideout and take the bait? Pack up the gear and find out what awaits you in the outdoors. What are your limits? What will it take to push them to the next level? How high will you reach? How fast will you run? How far will you go to beat the competition? To win? Load up the gear and find out. Where will your next adventure take you? Over snow-covered mountains? Through thick forests and muddy valleys? Across endless, rolling fields? Fuel up your engine and find out. Where will the road take you? Where will that next turn lead? When you pack up your crew and take to the open road, what new adventure will you discover? There’s only one way to find out. Hitch up and drive. What does it take to do a job well? Where will your ambition take you? When will you catch that big break and land your biggest contract yet? Do you have what it takes to go above and beyond? Find out. Great quality as expected. Fit perfectly, priced well & looks sharp. Would highly recommend.